Melissa advises corporate clients on a wide range of business matters, with a particular focus on mergers and acquisitions, private placements of securities, financing transactions and ownership transition programs. As part of the firm’s A/E/Design Group, Melissa’s practice involves a number of architecture, engineering and design firms. Melissa also represents a number of clients in the cannabis sector on matters including mergers and acquisitions, regulatory guidance and corporate governance. She also provides guidance to clients in various industries on issues that emerge in day-to-day business, including marketing, internet matters, trade secret protection. In addition, Melissa assists with real estate financing and leases, taxation advice, negotiation and regulatory compliance and strategy, public finance and business and real property pre-litigation dispute resolution. Melissa also assists clients in the cannabis sector on a variety of regulatory and investment matters. 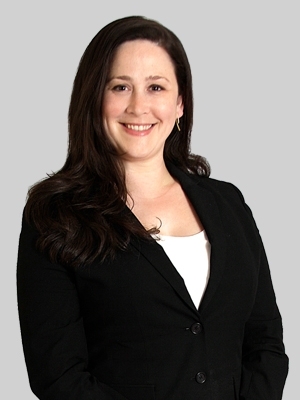 Prior to joining Fox Rothschild, Melissa was an attorney at a San Francisco-based firm for more than 10 years, where she began as an intern during law school. She also previously worked as a development assistant for a developer in Colorado. While in law school, Melissa interned at a multinational law firm in Rome, Italy. She also served as a Judicial Extern for the Department of the Presiding Judge, San Francisco Superior Court. In addition, Melissa served as a staff member and development editor for Hastings International & Comparative Law Review. As an undergraduate student at the University of Colorado, Melissa worked as a reporter, copy editor and opinion editor for Campus Press. Melissa volunteers at several nonprofit organizations. She is a mentor at Working Solutions Microloans, a nonprofit that provides microloans and business consulting to entrepreneurs. She also participates at a legal aid clinic assisting Federal Emergency Management Agency (FEMA) applicants who are seeking to appeal denied benefits.